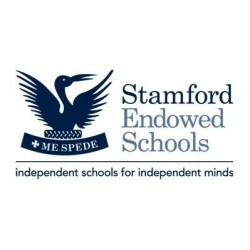 The Stamford Endowed Schools based in the UK are seeking to appoint a Director of Hockey who is highly committed, enthusiastic and an experienced coach, who has played hockey to a high standard. Excellent administration skills are required to organise a training and coaching schedule, fixtures, and transport and catering arrangements. Strong team building skills are required in order to work with other coaches, improve their skills and ensure that coaches feel fully involved in the development of hockey and hockey players at SES. Experience of participating in, and organising tours, would be an advantage, as well as any previous experience in marketing of schools, pupil recruitment and the development of hockey specific links with clubs, schools and governing bodies. Effective communication skills are also essential to ensure that pupils, parents and staff are kept aware of timings and expectations. A full, standard driving licence will be expected and the successful applicant will be required to drive a minibus at times, so must be prepared to undergo training if the appropriate licence is not already held. A teaching qualification is not a requirement for this role. Job Categories: Coaching Director. Job Types: Full-Time. Job Tags: Director of Hockey, hockey, Hockey Coaching, and Hockey jobs. Salary: 15,000 - 40,000.